You are here: Home / Poconos Bloggin' / The Poconos are the idyllic setting for your “Dacha” – Affordably have your vacation home or second home! The Poconos are the idyllic setting for your “Dacha” – Affordably have your vacation home or second home! Dacha, according to Wikipedia, is the “Russian word for a seasonal or year-round second home” typically located outside the cities. -it offers 4 seasons of endless fun! 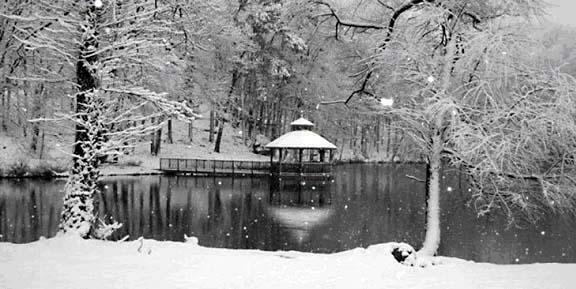 Along with its perfect location, the Pike County, Wayne County, and Monroe County areas of the Poconos truly symbolize and embody the meaning of “Dacha,” offering Four Seasons of Endless Fun for every age group and for every interest type. 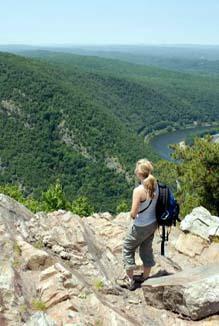 The Delaware Water Gap National Recreation Area offers boating, water rafting, kayaking, fishing, swimming, biking and much more. Ski at Shawnee Mountain, Camelback, Alpine Mountain, Big Bear - to name just a few. We offer an abundance of golf clubs with courses designed by the best, such as the Jack Nicklaus designed Great Bear Golf Course, as well as hiking and backpacking trails and thousands of acres of preserved Federal and State lands and parks. From the Poconos Raceway and NASCAR Pocono 500, to the Milford Music Festival, Honesdale Roots & Rhythm Music & Arts Festival, the Annual Pocono Blues Festival, The Wind Gap Bluegrass Festival, and the Black Bear Film Festival, our area brings all of this to you! Antiquing is plentiful throughout our communities. We have wonderful inns to host you. 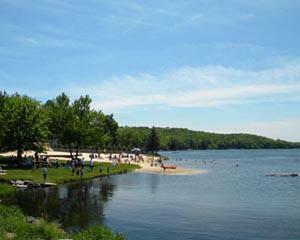 For the “Dacha” seeker, the Poconos offer familiarity because of our bountiful lakes and great skiing areas. For Russian families, it resembles the “feel” and “ambiance” of the very special aspects of life in their homeland, Russia. Because real estate is so inexpensive in the Pike, Wayne and Monroe County areas compared to neighboring states, and the cost of living and taxes are low, many elect to own a second or vacation home in the Poconos, and one that will one day become their full time home upon retirement. The time has never been so right! Congress has renewed the tax credits and expanded upon them, for those who are seeking a primary residence. The most competitive pricing is now currently available. The Poconos offer more land and home for your money and lower taxes! Opportunity is knocking! Are you hearing the knock? A lovely homesite and custom built home – prices from $168,000. There are still very affordable lake view and lake front home sites available, as well as lake view and lake front resale homes. An Award Winning Quality Builder who is Unsurpassed!